The 2016 Lexus RC 200t Review: If you think of Lexus vehicles as big sedans or medium-size crossover SUVs, it’s understandable. But Lexus delivered a knockout coupe last year, the RC line. Low, sensuous, and energetic, it may change a lot of minds. 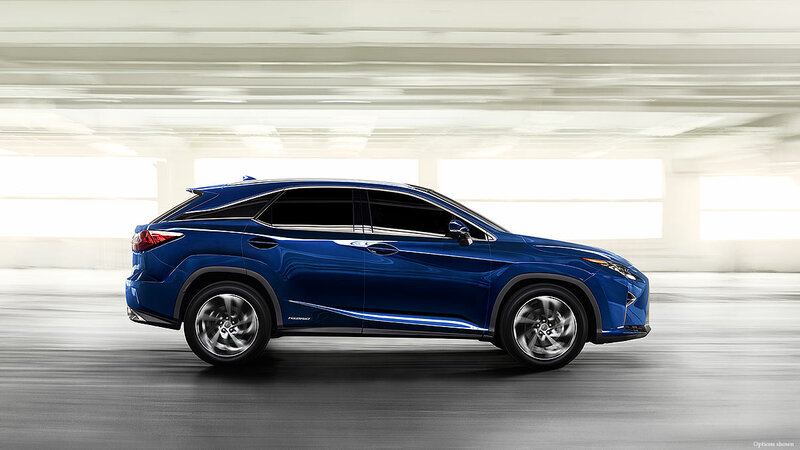 For 2016, Lexus offers three different engines in the RC. The 3.5-liter V6 continues, with its bountiful 306 horsepower and 277 lb.-ft. of torque. It takes only 5.8 seconds to go from zero to sixty mph. Now, there’s the all-wheel-drive 300 AWD model, also a 3.5-liter, with 255 horsepower and 236 lb.-ft. of torque, to satisfy those seeking more traction. My test car was the new 200t, with a turbocharged 2.0-liter four cylinder under the equally muscular hood. In this form, you get 241 horsepower and 258 lb.-ft., fewer horses than the 300 AWD, but a bit more torque, and 0-60 in 7.3 seconds. European cars, and Lexus’ own IS, have offered a choice of engines, but when I think 2.0-liter, I imagine Audis, like my own family A4. A couple of liters goes well with a nice six-speed manual transmission, but you can’t get one in the RC. However, you do get a fine eight-speed automatic, and the paddle shifters to enjoy it. You can set this Sports Program Direct Shift SPDS transmission into Normal, Sport, and Manual settings. It uses a full torque-converter lock-up from second to eighth gears for clutchless manual shifting. Downshifts happen in just a tenth of a second in Manual mode, with the transmission’s throttle blipping control matching the engine speed to the gear. You’ll sound like a pro to fellow motorists with their windows open. The eight gear ratios are spread out wider than the six in the regular automatic, which should mean a little quicker take-off in low and more economy in high. However, even though an “ECO” light glows when the engine is loafing around town and on downhill freeway cruises, the 20.1 mpg I averaged wasn’t even close to the EPA fuel economy of 22 City, 32 Highway and 26 Overall. My tester rated an average 5 for Smog and 6 for Greenhouse Gas. If you enjoy a huge grille and ferocious face, you won’t be disappointed. The RC boasts undulating sides connecting to sharp tail lamps that stick out from the body contour, and racy looking deep cuts in the rear lower body panels. In Atomic Silver, my RC slunk down the street looking for places to exceed the speed limit. My tester came with the $4,100 F Sport package. This adds lots of exterior, interior, and performance upgrades, from the grille to those 19-inch alloys wearing summer 35 and 40 aspect ratio summer tires. Inside, you get a snazzier cabin, with a configurable thin film transistor (TFT) instrument panel, special sport seats, perforated leather all over the places you touch, and silvery trim where you don’t. Performance enhancements with the F Sport package include an Active Variable Suspension (AVS). AVS is a variable damper system designed to enhance ride comfort and body lean control. It monitors steering input and road conditions and adjust the dampers to suit. It delivers a flatter ride. It works during cornering, rough road conditions and when the car would tend to pitch back on acceleration or forward during braking. It’s all calm and feels natural, thanks to the car’s computer. The F Sport package also gives you a Sport S+ driving mode and Active Sound Control, which “enhances” the engine note. Part of living with a car like this is getting in and out of it, and with its long doors and low seating position. Interior space is another area where the IS or GS sedans would be easier all around. Although the rear seats fold, we had a laugh when we couldn’t fit a 3 x 4-foot artist’s canvas into the trunk, and ended up sliding it up over the front seats and into the rear area!